Brothers George, Adam and William Swint (Schwindt) were the sons of Johannes and Christina Schwindt who were among the early Volga German pioneers in Portland. The three brothers all learned the craft of butchering and opened several meat and food markets. The 1925 lists two Swint Market locations. One is at 521 Union Avenue North (now 2521 NE Martin Luther King Jr Boulevard) and the other is at 573 Broadway East (now near 1323 NE Broadway). The 1928 Portland City Directory lists George as President of Swint's Market Inc. and Adam is the Secretary of the corporation. William is listed as a driver. At the time the Swint's had stores at 11 E 28th N (now 11 SE 28th Avenue) and 589 E Broadway (now 1423 NE Broadway). 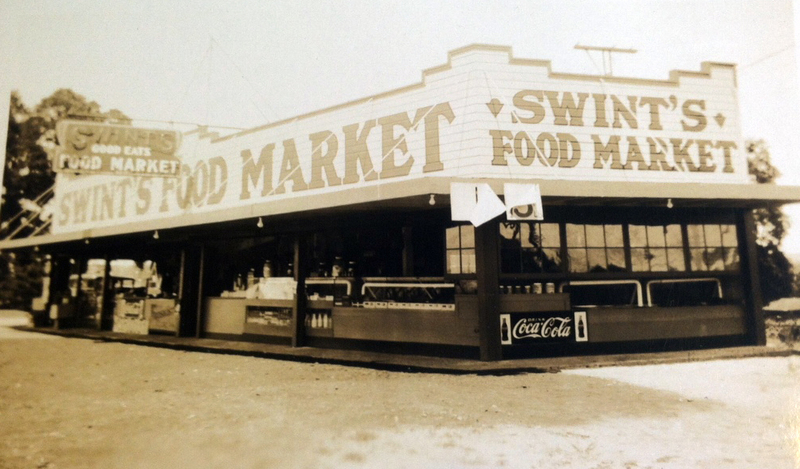 Swint's Food Market on North Vancouver Avenue opened in the late 1920’s. By May 1932, the Swint's were leasing a new store built for them at NE Union Avenue and Columbia Boulevard. Swint's Food Market on North Vancouver Avenue courtesy of Cynthia Swint Alami. ​Cynthia Swint Alami, granddaughter of George Swint (born May 14, 1898). "Lease Deals Are Closed." The Sunday Oregonian [Portland], May 29, 1932, pg. 12.